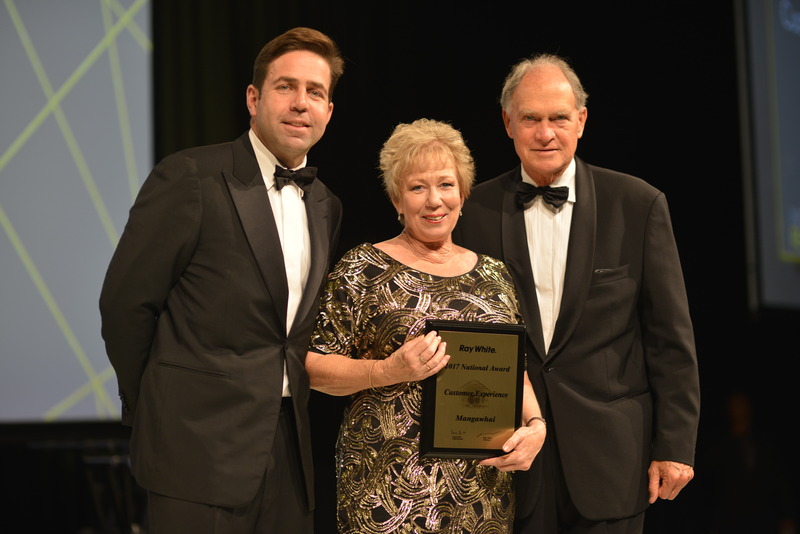 Ray White Mangawhai under the business ownership helm of Kaye and Stewart McElwain were elated to receive a national award for Customer Experience. Their boutique team were there to celebrate the team achievement. This recognition award was achieved by only 10 offices out of 159 nationwide. The coveted Customer Experience awards are based upon results dependent upon the number of returns to a customer monitor survey The Net Promoter Score is a metric developed by Harvard. It is used globally across many companies and industries large and small. At the core of this score is one question – how likely are you to recommend the service to your friends and family? It measures customer feedback and loyalty. Kaye and Stewart want to put their customers at the heart of everything they do and this award was fantastic confirmation that the Ray White Mangawhai team is on the right track.